Joel Schlessinger, MD « Cosmetic Surgery Forum – Practical. Honest. Insightful. 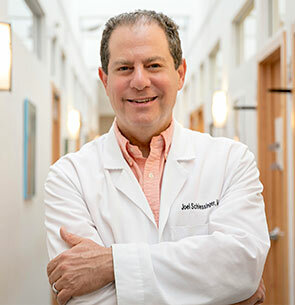 Joel Schlessinger, M.D. is the editor-in-chief, Cosmetic Surgery, for Practical Dermatology and the founder of Cosmetic Surgery Forum, a course entering its 9th year in Las Vegas the week after Thanksgiving. He is the former president of the American Society of Cosmetic Dermatology and Aesthetic Surgery and is the past president of the Nebraska Dermatology Society. Board certified in dermatology, cosmetic dermatologic surgery and pediatrics, he started LovelySkin.com in 1998. Dr. Schlessinger has been consistently voted the best cosmetic surgeon and dermatologist in Omaha, Neb. (now 18 years in a row the winner of the best cosmetic surgeon and best dermatologist in Omaha) and one of America’s Top Docs, U.S. News Best Doctors and Best Doctors in America, as well as an Elle Beauty Genius award winner. He has been in private practice since 1992. In addition to an interest in cosmeceuticals and cosmetic surgery, Dr. Schlessinger operates a clinical trials unit (Advanced Skin Research Center), which has performed more than 270 trials in 20 years, including trials of Dysport, PurTox and Xeomin (new forms of botulinum toxin), trials of Liposonix, Revance topical botulinum toxin and more than 10 new compounds for psoriasis. He and his son, Daniel, recently introduced the first body balm containing 1% hydrocortisone in a stick formulation (FixMySkin), which is now patented in the U.S. as well as several other countries. They recently received a patent for another formulation as well. In addition to his professional work, Dr. Schlessinger spends much of his time giving back to humanitarian causes. He is regularly dedicates both his time and resources to international causes. Some such relationships include relief work alongside his family in Haiti, an on-going relationship with a coalition of Rwandan AIDS charities, and a recent “Klimb for Kenya” on Mount Rainier. He and his staff also engage in their community by supporting a number of local charities with their time and other resources, including many which serve children and women recovering from difficult circumstances who are finding their way back into the workforce. Dr. Schlessinger is also very proud to serve as a board member of several area non-profit service and arts organizations in Omaha. He employs a staff of 90 and his solo practice facility and LovelySkin retail store now comprise more than 38,000 square feet in Omaha. He and his wife of 27 years live in Omaha and have two children who are 22 and 25 years old.